The recipe calls for one red bell pepper, but I had to omit that because the red bell pepper that I had was bad and I forgot to pick up another one. The directions require a really large skillet. I don’t consider mine to be that large so I did the first half of the recipe in the biggest pan that I have and then switched everything over to a really big pot (not a stockpot though). I did that so I could fit everything into one dish without making a huge mess in my kitchen. Unfortunately, I can’t be too specific with the list of ingredients and instructions but I can tell you that even with the adjustments that I made, the food was lovely. 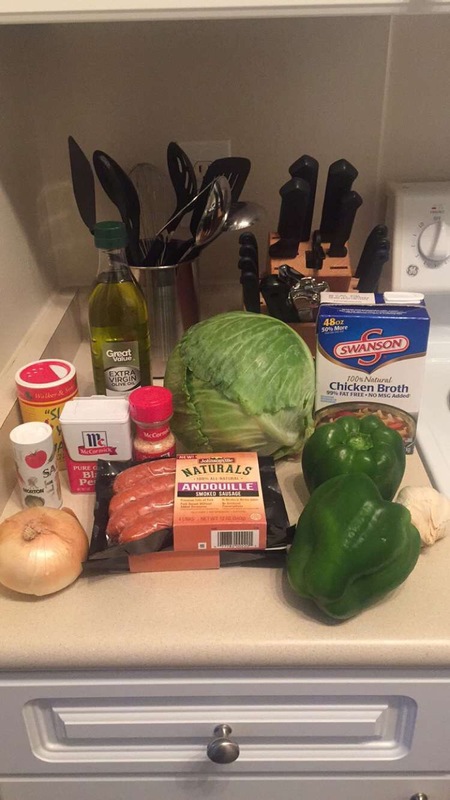 If you love cabbage like I do, then you will really enjoy this recipe. This is also the first time I’ve ever made cabbage in my life so I was pleasantly surprised that it came out so well. I’m not a huge fan of any kind of sausage but in this recipe, it didn’t bother me at all. I actually really enjoyed the taste. 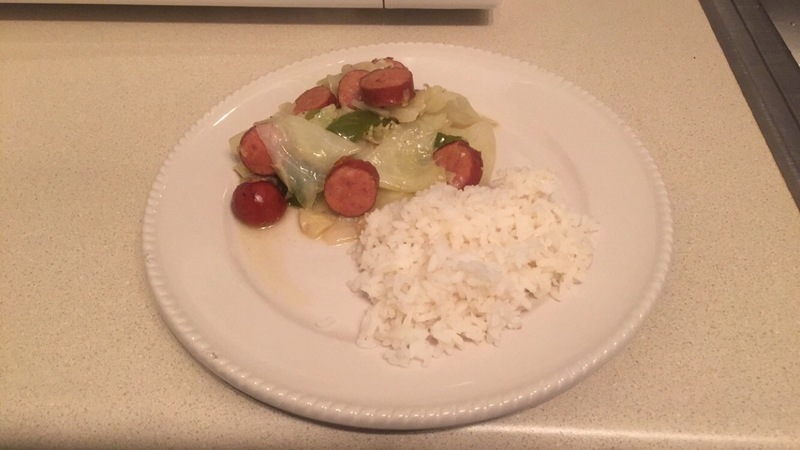 I served this dish with rice. The main recipe is heavy enough that you don’t need to add more than one side to have a full meal. I will definitely be making this recipe again. My fiancé loved it! I’ll be sure to pick up a red bell pepper next time though. Chrissy has some really great recipes in this book. I highly recommend buying this for yourself. Whether you’re a veteran or rookie in the kitchen, there’s something new to try in this book for everyone. Click HERE to buy Cravings by Chrissy Teigen.